Audi Q7 S Line Review and Deals 2019 | What Car? Our favourite trim brings more aggressive styling over Sport, including chunkier bumpers and side skirts. Equipment upgrades include 20in alloy wheels, privacy glass, rear climate control, LED headlights and sports seats. 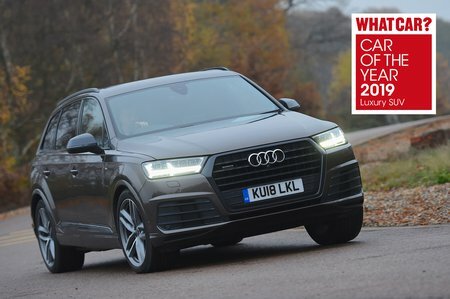 It also gets the impressive adaptive air-suspension as standard which transforms the Q7 into not only the best-riding car in its class but also one of the best in any class or budget, period.